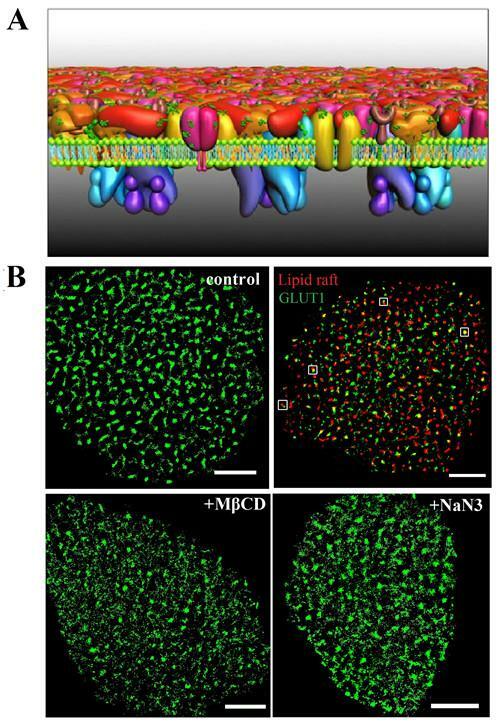 Regarding the organizational mechanism of GLUT1 clusters, they revealed that not only can the lipid rafts' environment stabilize their existence, but the actin cytoskeleton and N-glycosylation also play important roles in the clusters' formation. The results suggested a potential association between distribution and activation. Their teams' work may form a step forward in our understanding of the molecular mechanism of GLUT clustering and glucose uptake. This work has been published in a paper in PNAS. It was supported by the National Key R&D Program of China, the National Natural Science Foundation of China, and the Yunnan Provincial Science and Technology Department of China.